Instead of you, the Buyer, paying the local agent the standard Buyer’s fee (usually 3% – 5% of the property sale price), you pay us €3,000 or 3% of the sale price, whichever is the greater. Our service will remove the onerous task of you having to maintain a relationship with multiple foreign estate agents. In effect, this means you receive the added benefit of our professional services such as ‘Find a Property’, negotiation and bi-lingual language and cultural support, for free. Why would Local Agents be willing to lose out on their Buyer’s commission? We advertise our Agent’s properties to the international market on a number of global portals (A Place In The Sun, Gate-away, Zoopla and The Overseas Guide Company) at no cost to the agent, providing them far reaching international coverage and saving them advertising costs. We are there to safeguard you on your foreign property buying journey and will liaise with the Agent directly. The local Agents rely on our ability to provide translation and an appreciation of the foreign buyer’s expectations, to help broker the sale. The whole process ensures you get your desired property in Sicily and the Agent successfully completes the sale, with the Agent still taking their main commission from the Vendor. Aside from the obvious costs of the purchase price and associated financing and mortgage terms, the additional costs involved in purchasing a property in Italy will vary, depending on whether you are buying a re-sale property or a new-build and whether the property will be your primary residence or a holiday home. For a resale property, you will need to pay Registry Tax on the ‘Cadastral’ value – the municipal ‘rateable’ value, which is typically significantly less than the actual purchase price, but can only be determined once the correct documentation is supplied by the Agent or Vendor. If you are buying your home in Italy as your primary residence, your Registry Tax will be 2% of your cadastral value. If your property will be a holiday home, you will pay 9% of the cadastral value as Registry Tax. The registry value will always be a minimum of €1,000. Notary fees must always be paid and will be around €2,000- €4,000, depending on the property price. An independent lawyer will generally charge 1% of the selling price of the property for their services, typically a minimum of €2,000 + VAT (22%). 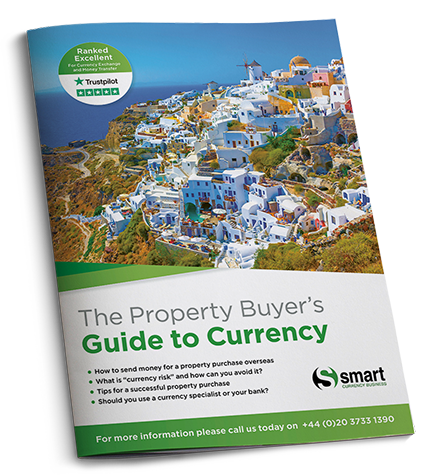 The effects of currency exchange rates on the cost of your property and ongoing payments are also a serious consideration that will affect your purchase and ongoing maintenance fees. There is no Registry Tax on the purchase of new-build properties, but VAT must be paid instead; this is levied at 4% of the purchase price for a primary residence and 10% for a holiday home. You will also need to think about surveyor/architect (known as a ‘Geometro’ or ‘Architetto’) fees and utilities suppliers – especially if you are buying a country property without water or anything else connected. 1. IMU: this tax is paid on the possession of real estate assets. Owners are exempt from paying this on their ‘primary residence’, unless the property has been classified as luxury. 2. TASI: this is similar to Council Tax in the UK, and finances the services provided by local administration. All property owners or long term tenants will have to pay this tax. Reductions may be available, depending on circumstance – for example, if the property is a holiday home. 3. TARI: this tax is to fund waste management and must be paid by the person living in a property. Reductions may be available, depending on circumstances. Please get in touch to let us run through and explain the associated costs of buying and maintaining your dream property in Sicily, at every step of the way.